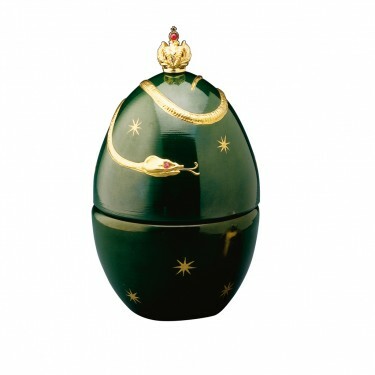 A stunning interpretation of Temptation and Original Sin. 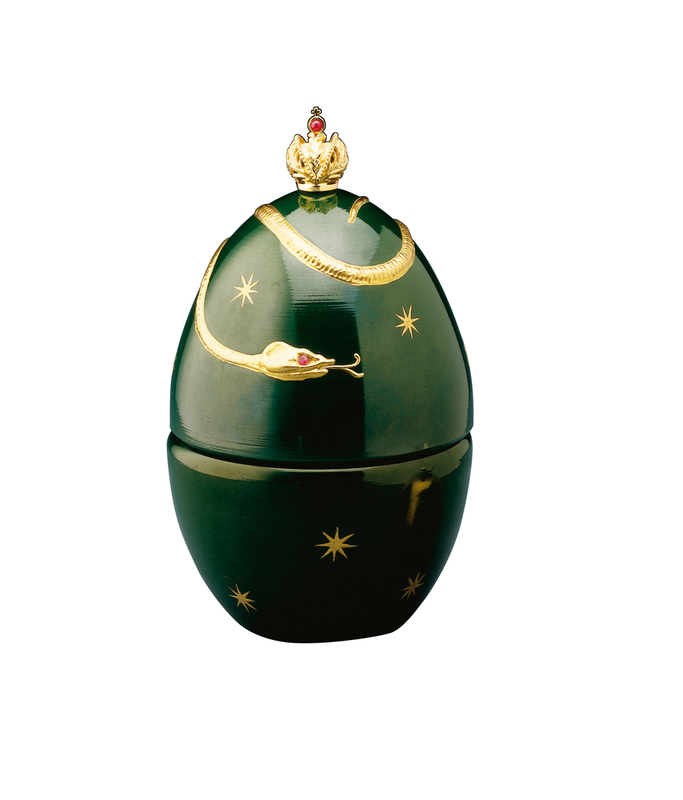 An Egg of paradise green enamel on crystal entwined with a 23 carat golden serpent, set with a rich enticing ruby eye that dares the Egg to be opened. 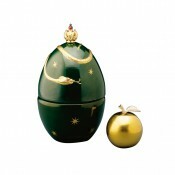 Its hidden surprise is the Golden Apple of Knowledge from the Tree of Life. 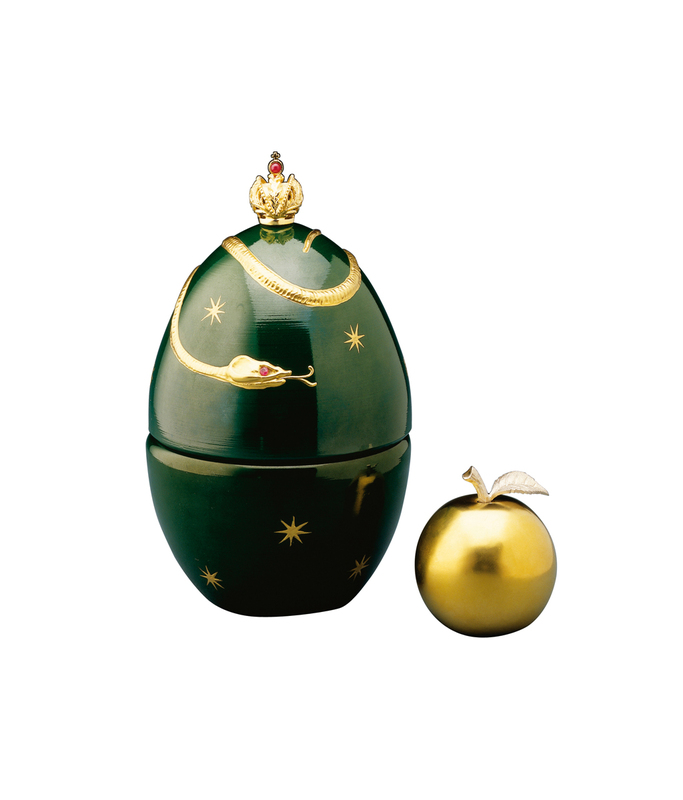 In 23 carat gold on crystal, the Apple sits on a sterling silver tray concealing a secret compartment beneath.